Hit! or Miss! Can you rock this creative outfit? 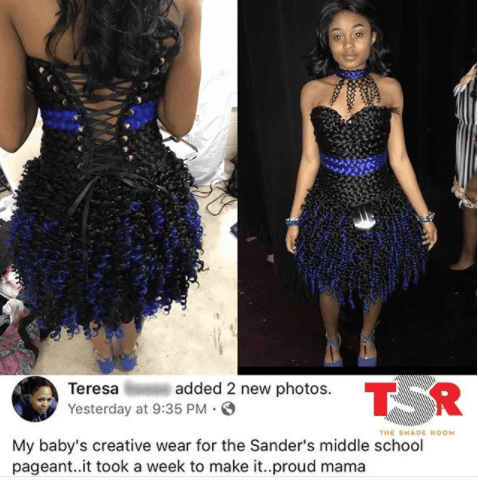 A student got creative with hair extensions and she came up with an outfit for her school pageant.